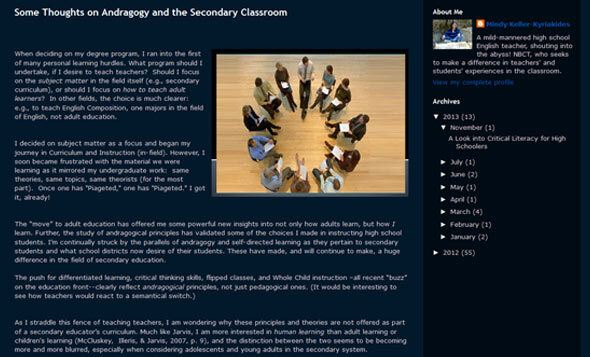 This section lists those teacher or teaching blogs which we think merit reading. The blogs are all very different, but all interesting in one way or another. Some look at the day to day life of a teacher, others at teaching techniques, materials and methods. In any event, whatever their content or focus, we think they're all worth a read. We recently culled a number of blogs from this listing on the grounds that they were no longer being updated, and will continue to do so in the future. If there's a blog you think is worth reading, submit it using the button at the bottom of the page. Written by Mindy Keller-Kyriiakides, Joyful collapse seeks to help teachers - high school English educators - in determining best practices for reaching adolescents. 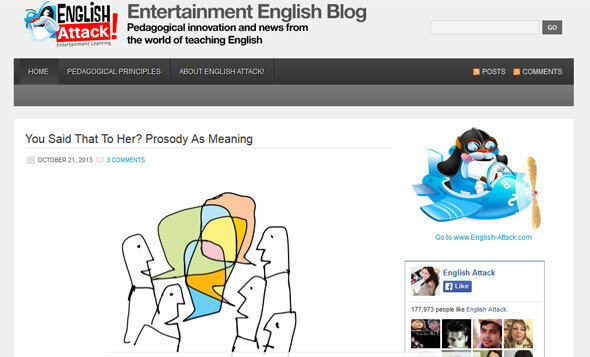 The English Attack English Blog explains and discusses various approaches in teaching English to EFL and ESL learners, in particular teens and young adults. 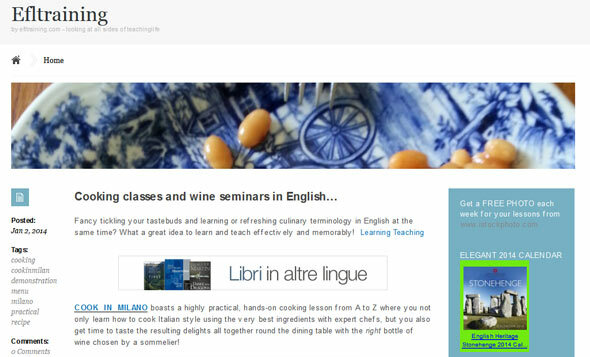 Written by an experienced ESL teacher and teacher trainer, this blog is written for teachers and trainee teachers who are passionate about teaching and learning. 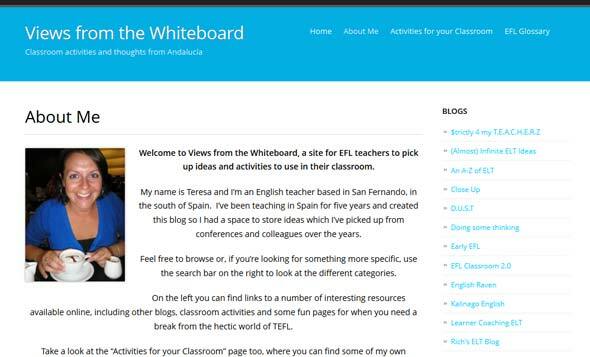 A great site for EFL teachers to pick up ideas and activities to use in their classroom, run by Teresa, an English teacher based in San Fernando, Spain. 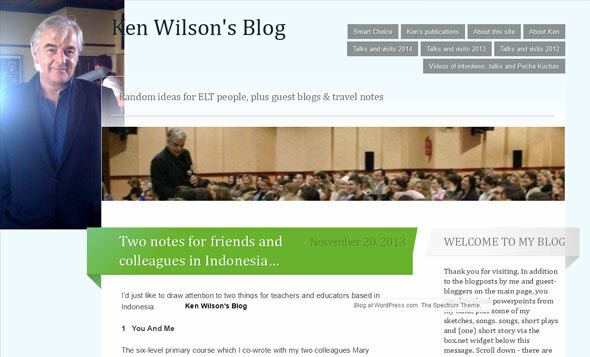 Ken Wilson is a teacher trainer, an author of ELT materials and until 2002, artistic director of the English Teaching Theatre and this is his highly recommended blog. 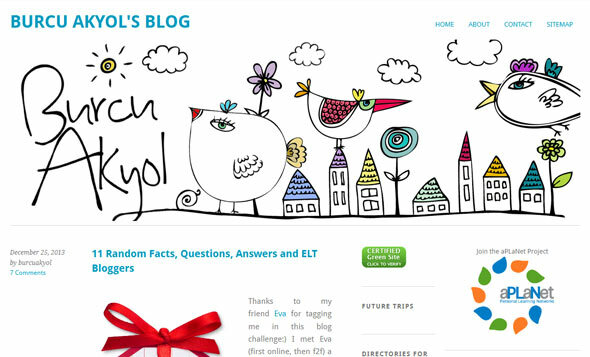 Burcu Akyol's blog contains reflections and insights about teaching, technology, and life & practical tips and resources. An interesting blog for teachers of all types. 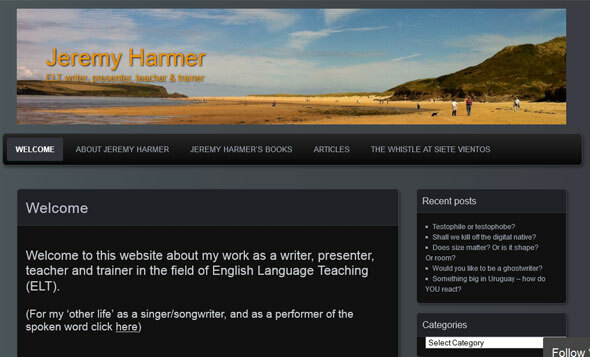 Written by Jeremy Harmer,a writer and teacher / teacher-trainer for ESL, this blog is about teaching, presenting, music and anything else that takes his fancy. 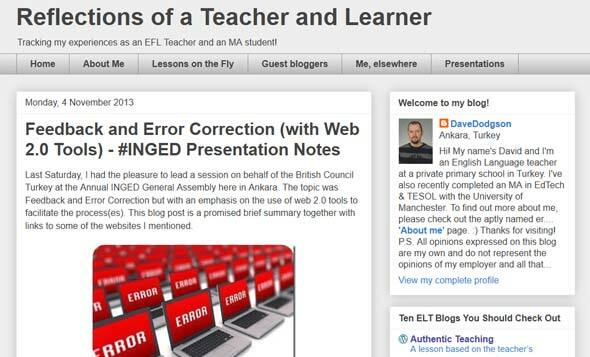 Dave Dodgson's blog, Reflections of a Teacher and Learner, British Council Teaching English Blog of the Month in 2012 is always worth a read. 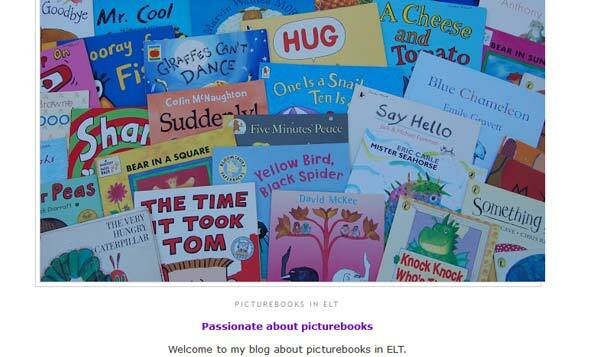 Sandie Mourão, a freelance English teacher and teacher trainer, is passionate about picture books and wants to share this passion with you through her blog. This is a highly original and interesting blog, although it's more of an ideas factory than a blog, packed with lesson ideas for ESL teachers. 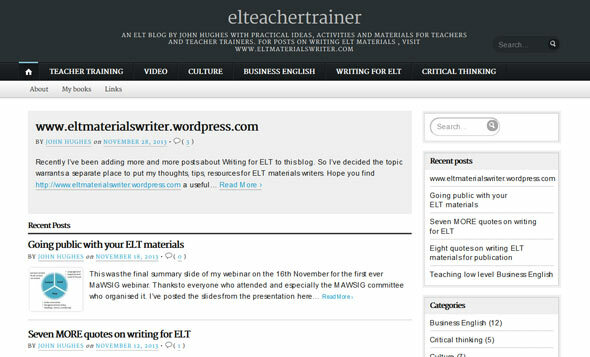 Author of ELT books including Business Focus, Business Result and Telephone English, John Hughes created this blog to serve as a resource site for ELT Trainers. 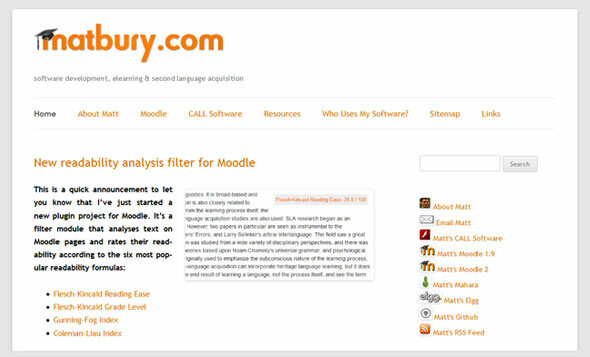 Matt's blog, dedicated to topics related to Second Language Acquisition, learning and teaching theory, elearning, elearning software and systems development. 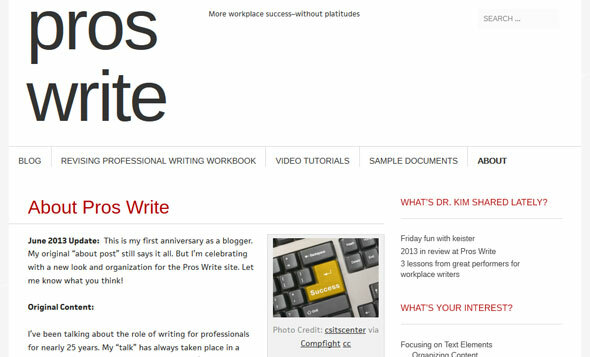 Pros Write is devoted to better workplace writing. This blog is used to talk about writing in English for professionals of all kinds, focussing on teachers. 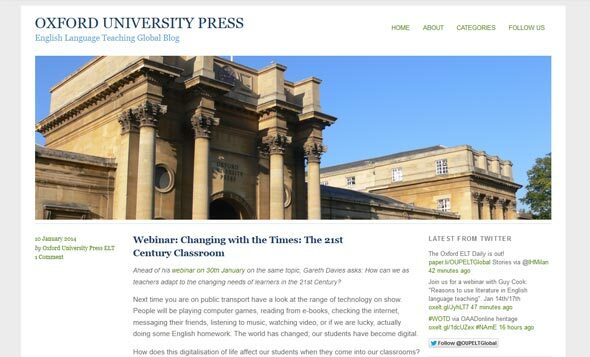 ELT Global Blog is the English Language Teaching blog run Oxford University Press. 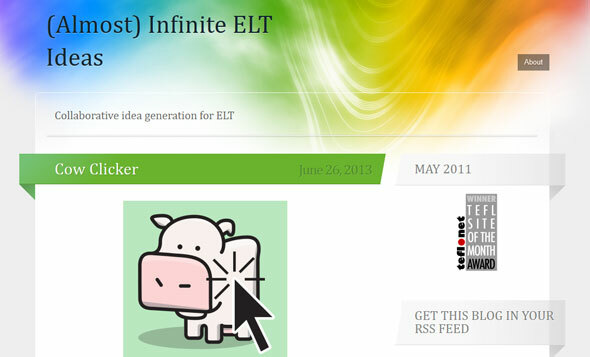 The blog is aimed at ELT teachers and trainers, or anyone interested in ELT. If there's a Teacher or Teaching Blog we should add to this section, submit it!